Alternative Aframe is similar to the PRO-LIFT b 1230, but the Alternative Aframe has some distinct benefits that the PRO-LIFTb 1230 doesn’t have. 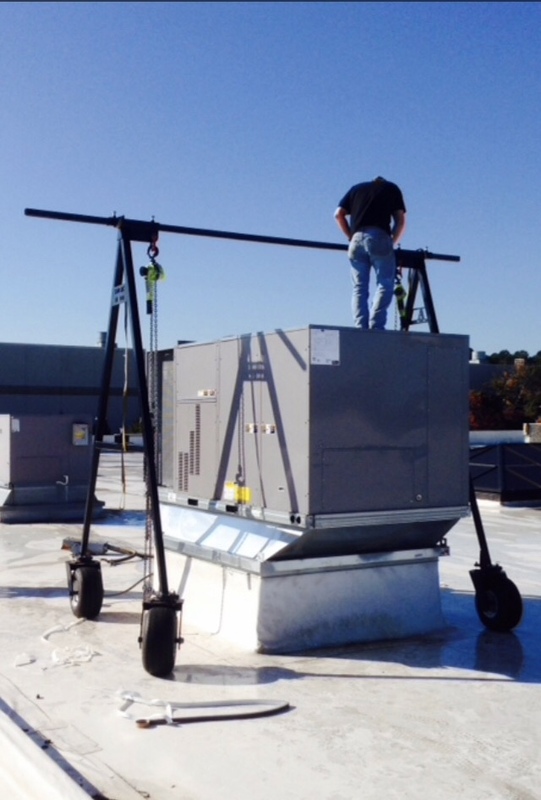 Alternative Aframe and the PRO-LIFT b 1230 can both move HVAC units around on roof tops. 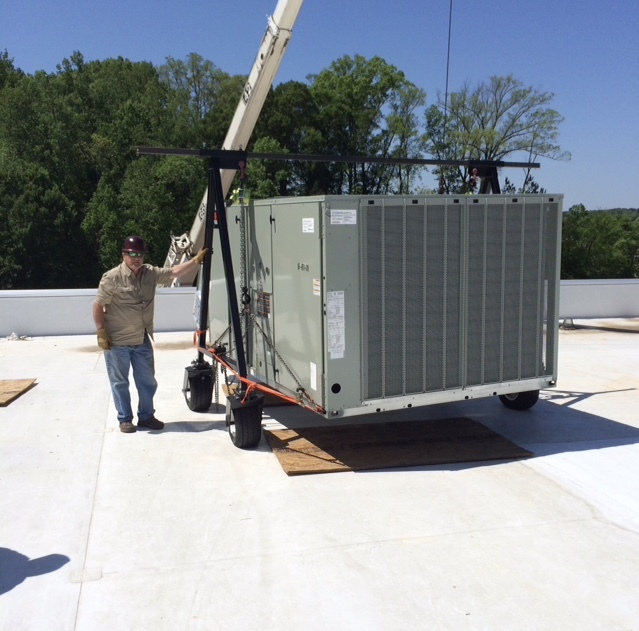 In many cases, due to the weight of larger commercial HVAC units, two PRO-LIFT b 1230 are required in order to properly set the HVAC unit. With the Alternative Aframe, you’ll get more done in less time with one unit and over the long haul, you’ll save money on your equipment and make more profit. 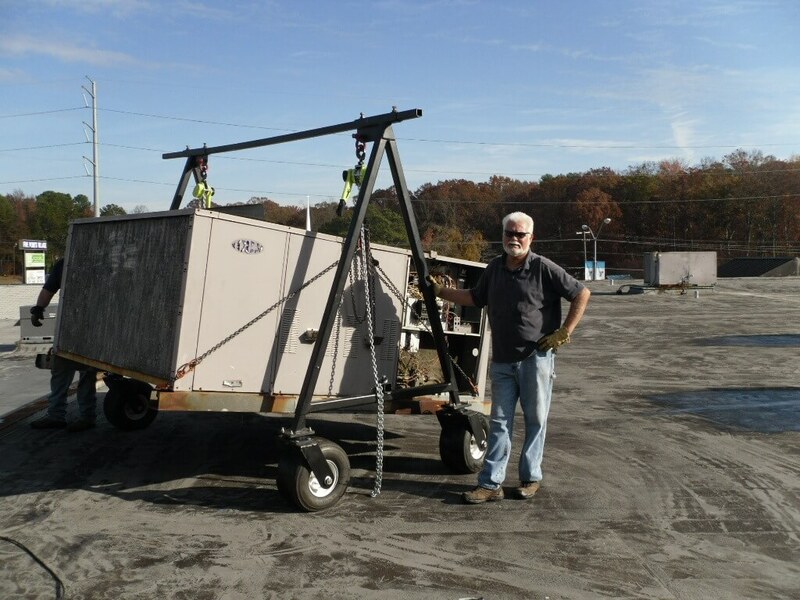 PRO-LIFT b 1230’s 1,500 lb capacity is 2,000 lbs less than the Alternative Aframe’s 3,500 lbs. PRO-LIFT b 1230 breaks down into 4 pieces compared to Alternative Aframe’s 3 pieces. PRO-LIFT b 1230 offers 28″ lift height compared to Alternative Aframe’s 6′ 7″ lift height. PRO-LIFT b 1230 has a single tire on each side compared to Alternative Aframe’s dual tires. Do you have questions? Call us to find out more about how the Alternative Aframe compares to the PRO-LIFT b 1230. We’re stocked and ready to ship. 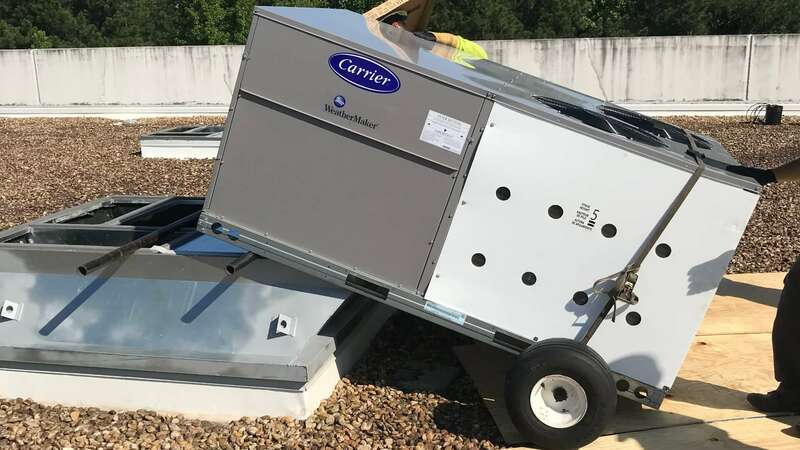 Trusted and used by many reputable HVAC companies. We have utilized the A-frame we purchased from you regularly. It’s easy to use and setup and has made our team more flexible, efficient, and competitive on our jobs. We highly recommend your product. 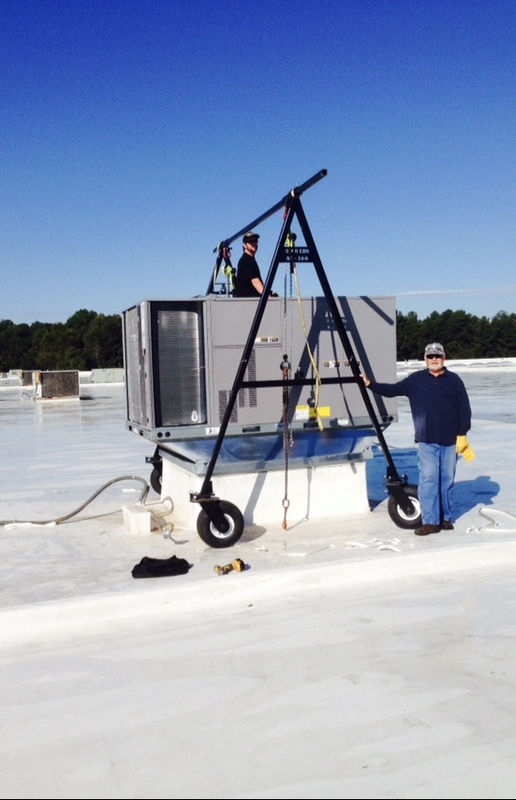 Rolling HVAC units on roofs is faster and easier with the Alternative Aframe. Check out some of these action shots. 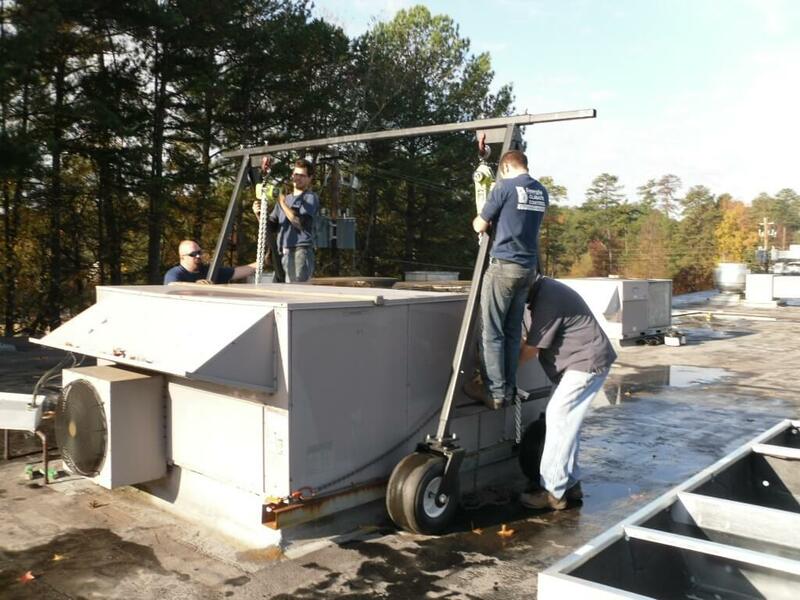 Get a quote on the Alternative Aframe today and learn just how much you can start saving every time you have to roll hvac units on roofs.